[email protected] BILL HULSEY PATENT LAWYER – IP & PATENTS established HULSEY PC to apply a highly developed specialty and experience in a broad span of technical fields. HULSEY PC takes great pride in serving emerging growth companies competing in global markets with products and services relating to renewable and sustainable energy technologies, life sciences, electronics, environmental innovations, software, and aerospace technologies. The Martindale-Hubbell Legal Directory has (a) rated William Hulsey Attorney “AV-Preeminent“ for the past six years, (b) rated him as “AV-Preeminent Judicial Edition” (the highest possible rating), (c) named him a “Top Rated Texas Attorney for Ethics and Legal Ability,” (d) awarded him repeated with their “Client Distinction Award” based on multiple evaluations of his client service and relationships skills, and (e) listed him in their Bar Registry of Preeminent Attorneys. He is listed among The Best Lawyers in America for patent law, and Hulsey PC as one The Best Law Firms in America. Bill has been recognized with a “Top 1% Most Honored Professionals” award by The American Registry. For the past five years, Av vo Legal Directory, America’s largest on-line attorney directory, has both rated Mr. Hulsey as “10 out of 10-Superb“ and recognized him with their “Clients Choice Award” in the areas of Patent Law, Trademark Law, and Licensing Law. During this period, www.Avvo.com has continuously ranked his patent practice with their highest client rating in America of all practicing U.S. patent attorneys. Today, Mr. Hulsey serves as a Global Fellow of the IC2 Institute of the University of Texas at Austin and has served on the Board of Directors for the Central Texas Regional Center for Innovation and Commercialization (RCIC), as well as over five years on RCIC Selection Committees in the Central Texas. Mr. Hulsey has served on the Selection Committee for the Central Texas Regional Center for Innovation & Commercialization under The State of Texas Emerging Technology Fund Program. In 2011, Bill wrote the submission to the U.S. Patent & Trademark Office for the City of Austin to receive a USPTO Satellite Office, which assisted in Texas’ successful selection for the new U.S. Patent Office in Dallas, Texas. For the internationally recognized Idea to Product (I2P®) Global Competition, which was started at the University of Texas at Austin, he has served as a finalist judge for competitions at University of Lisbon, Portugal , the Royal Technical University of Stockholm, Sweden [2011 & 2012] and Universidade Federal de Juiz de Fora of Sao Paolo, Brazil [2013 & 2014]. Presently, Mr. Hulsey serves as an adjunct professor at St. Edward’s University’s Bill Munday School of Business teaching Digital Media Law to M.B.A. students. William Hulsey has successfully completed graduate level training and education in engineering as a U.S. Navy nuclear engineer and submarine officer, economics through a M.A. in Economics from The University of Virginia and continuing Ph.D. studies at the University of North Texas, and law through a J.D. from The Vanderbilt School of Law. As an Attorney, is the founder of HULSEY PC and practices in Austin, Texas and Memphis, Tennessee. Prior to practicing law, Mr. Hulsey was a commissioned Naval Officer, attaining the rank of Lieutenant Commander in the U.S. Navy Nuclear Submarine Force. Bill served first as a member of the USS Jacksonville (SSN699) nuclear submarine pre-commissioning and initial sea trials crew and then later as an Engineering Duty Officer, completing his naval service as Commanding Officer of an engineering unit supporting Submarine Base Pearl Harbor, Hawaii. While in graduate school, Bill worked as a Scientific & Technical Intelligence Analyst for the United States Army’s Foreign Science & Technology Center in Charlottesville, Virginia and the Army’s Electronics Research & Development Command in Adelphi, Maryland. From this and other work, he frequently has assisted clients in scientific matters before the Department of Defense, Department of Energy, and contractors to these federal agencies. On September 19, 2016, in collaboration with the Austin Chamber of Commerce and the Texas Regional Office of the USPTO, Bill led the organization and presentation of “Patent Reform Five Years On: A Review of the America Events Act” highlighting changes in IP law and practice since the 2011 enactment of the Leahy-Smith America Invents Act, including the establishment of the AIA Pro Bono Inventor Assistance Program. Bill firmly believes that the privilege of practicing law includes an obligation of continually returning value to the profession and the communities the profession serves. Accordingly, HULSEY PC takes a leading role in the USPTO Inventor Assistance Pro Bono Program, as established by the Leahy-Smith America Invents Act of 2011. From 2009 to the present, Mr. Hulsey has been a leading voice in establishing the Texas effort for the Program and even represented the very first Texas pro bono inventor under the Program, before the Program was made part of the America Invents Act. He presently serves on the Texas Statewide Steering Committee for the program. From establishing the initial home for the effort at the Arlington, Texas Chamber of Commerce in 2012 to securing its present Austin home of Texas Accountants & Lawyers for the Arts (TALA) in late 2015, Mr. Hulsey has worked with former Texas Supreme Court Justice Craig Enoch and others to organize this program for providing pro bono services for eligible inventors. This has included organizing and co-chairing the 2015 Texas Global IP Summit to help support the Pro Bono Program, as well as an upcoming 2016 Texas America Invents Act Summit, recognizing five years since the Act’s September 16, 2011 signing by President Obama. He is a member of the State Bars of Texas, Tennessee and Registered to Practice before the United States Patent & Trademark Office. 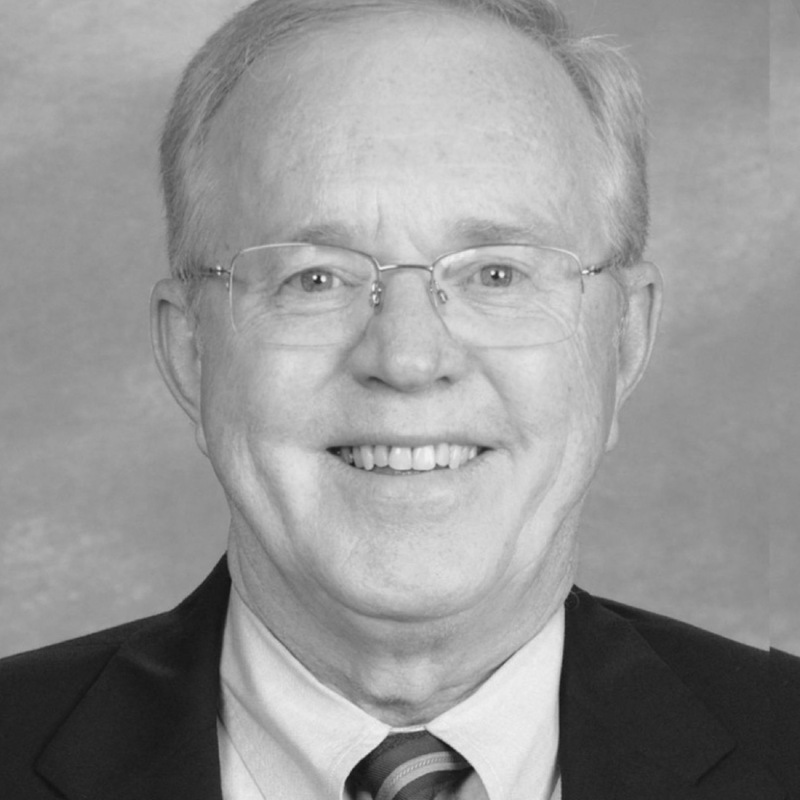 While earning his Doctor of Jurisprudence degree from the Vanderbilt School of Law in 1987, he formed the by-laws and corporate charter for the Nashville Business Incubation Center, by which he began his career of serving the technology law needs of early-stage and emerging growth companies, particularly serving minority business owners in middle Tennessee. At Rhodes College, Mr. Hulsey recently completed (10/2015) a three-year term on The Rhodes College Alumni Executive Board and is helping his alma mater with spawning new entrepreneurial ventures from the student body, as well as throughout the Memphis and Mid-South communities, by sponsoring and judging the College’s annual Entrepreneurship Club’s Business Plan Competition. Bill, in earning his Masters of Arts degree in economics from the University of Virginia, studied mathematical and theoretical economics and focused his graduate thesis an econometric model on essential factors determining the growth of regional technology centers, such as Austin, Texas; Research Triangle Park, North Carolina; the Route 128 Area near Boston, Massachusetts; and Silicon Valley, California. He is admitted to practice before the United States Supreme Court, The Court of Appeals for the Federal Circuit, and The United States Federal District Court for the Northern & Western Districts of Texas, and all Texas courts. Mr. Hulsey has twice been formally recognized by the U.S. Department of Commerce International Trade Commission’s Export Services Award for providing excellent patent, trademark, and copyright services to foreign companies seeking intellectual property assistance in the U.S. Moreover, his law firm is a Veteran Owned Small Business and has been approved by the Texas Attorney General to represent the University of Texas System and other Texas state institutions of higher learning, such as Texas A&M University and Texas State University. Mr. Hulsey organized and led collaborative efforts with The Greater Austin Chamber of Commerce to host the 2010 Texas Global Intellectual Property Summit. This event was attended by approximately 400 participants and featured (a) Mr. David Kappos, Under-Secretary of Commerce for Intellectual Property/Director of the United States Patent & Trademark Office; (b) Congressman and House Judiciary Committee Chair Lamar Smith (R, Tx-21); (c) Mr. James Pooley, Deputy Director General of The World Intellectual Property Organization for Technology & Innovation; and (d) Mr. Lee Soowon, Commissioner of the Korean Intellectual Property Office. Mr. Hulsey has led efforts by the Austin IP stakeholder committee at large to petition the USPTO to establish an Austin USPTO Satellite Office, as authorized by the Leahy-Smith America Invents Act of 2011. In September 2012, Bill collaborated with the USPTO and the University of Texas to host the USPTO’s Texas Regional Independent Inventors Conference in Austin at the University of Texas Campus, and further with the USPTO, The American Intellectual Property Law Association (AIPLA) and The Association of University Technology Managers (AUTM) to host at Texas A&M University the first ever joint AIPLA-AUTM co-branded event on the America Invents Act of 2011. Over the past several years, Mr. Hulsey also has served as part of a multi-disciplined task force from the University of Texas at Austin under the banner of The University Technology Entrepreneurship Network (UTEN). UTEN knowledge transfer supports objectives that are becoming more and more important for universities in Europe, the US, and elsewhere: (1) excellence in education and research, (2) enhanced interaction with the local region, and (3) enhanced internationalization. Presently, HULSEY PC serves a client base of over 400 clients. As broad and numerous as are HULSEY PC’s technological proficiencies, the firm is yet tightly focused on providing its clients with the highest quality in patent, trade secret, copyright, and trademark legal services. As a practicing patent attorney, Mr. Hulsey has developed and implemented complete intellectual property protection and licensing programs for numerous companies. Mr. Hulsey has committed his law practice and professional endeavors to promoting entrepreneurship and the protection and commercialization of his clients’ intellectual property rights. His range of legal representation covers initial IP portfolio development work through litigation in enforcing clients IP rights. HULSEY PC takes pride in obtaining for its clients expertly drafted and strategically considered patents, trademarks, copyrights, and related agreements and official filings. Most recently, Mr. Hulsey has been involved as IP counsel for the intensive due diligence phases of a number of multi-million dollar corporate transactions involving clients in the telecommunications, photovoltaic solar cell, and electronic medical sensor technology fields. As a result of the IP protection and commercialization efforts of his firm, clients have received multiples of their initial valuations in these transactions. Clients receiving HULSEY PC services range in geographic diversity north-to-south from Norway to New Zealand and east-to-west from Siberia to Singapore. HULSEY PC represents clients before the U.S. Patent & Trademark Office, as well as other intellectual property offices of nations around the globe via a network of foreign associates with whom the practice daily collaborates. Through his legal work, as well as with teaching through the IC2 Institute, Mr. Hulsey has taught intellectual property rights formation, protection, and commercialization in over 45 countries and on all continents, except Antarctica. Bill is the author of CREATING, MANAGING, AND LICENSING INTELLECTUAL PROPERTY ASSETS, a major work of over 30 hours of streaming video courses providing intellectual property education and training, through Stanford University. An avid singer of classical choral works, Bill is a tenor with the Texas Choral Consort, the Conspirare Symphonic Chorus, the Austin Civic Chorus, and the St. Michael’s Episcopal Church Chancel Choir. He has sung an extensive variety of choral works from a broad array of composers over a twelve-year period, including Ludwig von Beethoven’s Mass in C Major and his most significant choral work, Missa Solemnis, Leonard Bernstein’s Chichester Psalms, Johannes Brahms Ein Deutsches Requiem, John Corigliano’s arrangement of Dylan Thomas’ poem Fern Hill, Gabriel Urbain Faure’s Requiem, G.F. Handel’s Israel in Egypt and Messiah, Joseph Haydn’s The Creation, Wolfgang Amadeus Mozart’s Requiem, Ariel Ramirez’ Navidad Nuestra, Gioachino Rossini’s Petite Messe Solennelle, Roberto Sierra’s Missa Latina (Pro Pax), Heinrich Shutz Johannes-Passion, Randall Thompson’s Frostiana, Beethoven’s Missa Solemnis, Op.123, Ravel’s Daphnes et Cloe, and Poulenc’s Gloria with Conspirare, Austin’s Grammy Award winning choral music organization. Mr. Hulsey has recently performed as a member of the Austin performance chorus for Andrea Bocelli, the world’s most beloved tenor. In 2014, he sang with the Austin Symphony Chorus-Chorus Austin performances of Beethoven’s Hallelujah Chorus, Choral Fantasia, Op. 80, Symphony No. 9 in D minor, Op. 125, Handel’s Messiah, and Johanne Sebastian Bach’s Magnificat in D Minor. 2015 performances included Mozart’s Requiem, Carl Orff’s Carmina Burana, with the Austin Symphony Chorus and Austin Civic Chorus. In November 2015, he also sang Poulenc’s Gloria and Ravel’s Daphnes et Chloe with Conspirare and the Austin Symphony Chorus, which serendipitously became a timely and poignant salute to France that followed the Paris terrorist bombings. During the summer of 2016, Bill traveled to Italy with Conspirare and other Texas choral groups to sing in the Vatican in Rome and other sacred venues, including Santa Maria and The Angels, in Rome, Santa Catarina’s Cathedral in Pisa, and other venues in 9-day tour of good will and cultural exchange. IP & ENTREPRENEURSHIP: Essential Elements in Starting and Growing a Successful New Venture; McCoy Graduate School of Business, Texas State University (an Emerging Research University), (March 2013). $1B TO APPLE FOR SAMSUNG PATENT INFRINGEMENT—PRACTICAL LESSONS FOR EMERGING GROWTH TECHNOLOGY COMPANIES; IC2 Institute of the University of Texas (September 2012). ADVANCED PATENT CLAIM DRAFTING WORKSHOP, USPTO Texas Regional Inventors Conference (Austin, TX; September 2012). A NEW WORLD OF PATENT OPTIONS FOR UNIVERSITY TECHNOLOGY TRANSFER UNDER THE AIA; Joint American IP Law Association-Association of University Technology Manager Conference; (Texas A&M University; September 2012). INTELLECTUAL PROPERTY ISSUES & OPPORTUNITIES FOR GLOBAL ENTREPRENEURS; University of Texas Global Center for Entrepreneurship & Innovation (Monterrey, Nuevo Leon, Mexico; July 2012). THE JOBS ACT & THE LEAHY-SMITH AMERICA INVENTS ACT OF 2011; IC2 Institute of The University of Texas at Austin (Austin, TX; May 2012). TRADEMARK WAR STORIES FROM THE FRONT LINES: HOW FAILING TO FILE FOR FEDERAL TRADEMARK PROTECTION CAN BE PAINFULLY COSTLY; TechRanch Austin Entrepreneurs Seminar (Austin, TX; February 2012). IP & RELATED LEGAL ISSUES IN EXPORTING PRODUCTS & SERVICES TO LATIN AMERICA; Moble LatAm Conference on Latin America (Miami, FL; February 2012 & Austin, TX; September 2012). THE LEAHY-SMITH AMERICA INVENTS ACT OF 2011 & WHAT IT MEANS FOR START-UP COMPANIES; IC2 Institute of The University of Texas at Austin (Austin, TX; November 2011). THE USPTO EXPLAINS THE LEAHY-SMITH AMERICA INVENTS ACT OF 2011 TO SAN ANTONIO’S ENTREPRENEURS; (Introductory remarks for Mr. John Calvert, Administrator-USPTO Inventor Assistance Program (San Antonio, TX; October 2011). INTELLECTUAL PROPERTY PROTECTION WORLDWIDE FOR LATIN AMERICAN COMPANIES; 13th International Conference on Technology Policy & Innovation (Bogota, Colombia; September 2011). A TEXAS TWO-STEP SUMMER SALUTE TO LATIN AMERICA: INNOVATION, CREATIVITY & IP IN WORKING WITH LATIN AMERICAN COMPANIES; Global Classroom, IC2 Institute of the University of Texas (Austin, TX; June 2011). WORLD INTELLECTUAL PROPERTY DAY 2011: WHY AUSTIN, TEXAS IS AMERICA’S MOST INNOVATIVE CITY; IC2 Institute of the University of Texas (Austin, TX; April 2011). STANFORD UNIVERSITY V. ROCHE PHARMACEUTICALS ET AL. ; University of Rochester Health Sciences Center (Rochester, NY; April 2011). SXSW SPECIAL ENTREPRENEURS PROGRAM: DIRECTOR OF THE U.S. PATENT AND TRADEMARK OFFICE SPEAKS PERSONALLY WITH SMALL BUSINESSES AND START-UPS (Introductory Remarks); IC2 Institute of the University of Texas (Austin, TX; March 2011). STANFORD UNIVERSITY V. ROCHE PHARMACEUTICALS ET AL. ; IC2 Institute of The University of Texas at Austin (Austin, TX; February 2011). GREEN TECHNOLOGY PATENTS & THEIR ACCELERATION AROUND THE WORLD; Special Green Technology Patent Conference at the Texas State Capital (Austin, TX; December 2010). PATENTS OPTIONS AND PROMISE FOR GLOBAL EXAMINATION ACCELERATION; 2010 Texas Global Intellectual Property Summit (Austin, TX; November 2010). The U.S. Supreme Court Decision in BILSKI V. KAPPOS: A Defining Moment in U.S. Patent Law; HULSEYIP Special Business Briefing (Austin, TX; Rochester, NY; & San Antonio, TX; August & September 2010//State Bar of Texas Continuing Legal Education No. 901207746 [1.5 Hours Credit]). Intellectual Property Basics for Technology Managers; University of Texas’ McCombs School of Management/Monterrey Technology University Masters of Science in Science & Technology Commercialization Certificate Program—Monterrey, Mexico, Two-Day Course (June 2010). RESET, REBOOT, AND RESUME!! :Selling to American Markets on The Other Side of the Global Financial Crisis; HULSEYIP European Markets Business & Intellectual Property Workshop (Frankfurt, Germany; Bratislava, Slovakia; & Budapest, Hungary; February 2010). Intellectual Property Due Diligence in Cross-Border M&A Transactions; International Mergers & Acquisitions Conference of the American Mergers & Acquisition Association (Eltville/Frankfurt, Germany; October 2009). International Conference on Technology Policy & Innovation, Intellectual Property Panel [Co-Chair with António Serge Campinos, President, The Portuguese Institute of Industrial Property (INPI)] (Porto, Portugal; July 2009). Intellectual Property & Technology Commercialization Workshop; Pontificia Universidad Javeriana; (Bogota, Colombia; July 2009). The Institute for Policy and Innovation’s (IPI) 4th Annual World Intellectual Property Day Forum: “The Role of Intellectual Property in the Global Recovery”; (Washington, D.C., April 2009) 10 Intellectual Property Mistakes Of Early Stage Companies & How to Avoid Them. Solar Energy Entrepreneur’s Network Forum: Research & Development Opportunities in Central Texas’ Entrepreneurial Community; (Austin, TX; March 2009). U.S. Intellectual Property Practices & Concerns for Portuguese Technology Companies; National Institute for Intellectual Property [Portuguese Patent & Trademark Office] (Lisbon, Portugal; February 2009). Intellectual Property Practices & Concerns for Portuguese Technology Companies; University Technology Entrepreneurship Network (UTEN) Program with National Government of Portugal; New University of Technology at Lisbon (Lisbon, Portugal; February 2009). Securing IP: Chances and Dangers for Solar Start-Ups; PHOTON International Magazine [International Solar Industry Periodical based in Aachen, Germany]; 1ST PV START-UP CONFERENCE: “Looking for the 2nd Solar” (San Francisco, CA; December 2008). Solar Energy Entrepreneur’s Network Forum: IP Protection & Commercialization in a Transitioning Economy; (Austin, TX; October 2008). Evolving Trends in International Intellectual Property Rights: U.S. Options in A Challenging Economy, University of Minho (Braga, Portugal; July 2008). Space Technology Commercialization and IP Protection: The View from The United States, European Space Agency Business Incubator (Njordwik, The Netherlands; July 2008). Software IP Commercialization Short Course, Monterrey Institute of Technology (Monterrey, Nuevo Leon, Mexico; June 2008). Key Issues in High Quality IP Management for The Mechanical & Plumbing Industries, 2008 Plumbing Manufacturers Institute (San Diego, California; April 2008). Intellectual Property In Sustainable Energy Technologies, 10th International Conference on Technology Policy and Innovation (Stavanger, Norway; June 2007). International Software Intellectual Property Protection & Licensing Workshop, UTEN Program of the Government of Portugal (Lisbon & Porto, Portugal; May 2007). Technology Commercialization in & Through Asia: The Case of Taiwan, IC2 Institute—Presenter & Leader, (Austin, Texas; February 2007). Mexican Department of Economic Development INVITE Entrepreneurial Competition, Intellectual Property Workshop—Presenter & Leader, (Monterrey, Nuevo Leon, Mexico; November 2006). International Intellectual Property Protection, Transactions, and Enforcement; Adjunct Professor, Center for Data Processing & Information Technology; International Technology Research Institute, Taipei, Taiwan [on-line teaching] (January-March 2006 & November-December 2006). Intellectual Property Panel: “IP—Keep It or Give It Away”, 7th Annual IEEE-UT Engineering Management Conference (Austin, Texas; August 2006). Space Industry Intellectual Property Management: Rules and A Roadmap of Rising Relevance, 6th Australian National Space Science Conference (Canberra, Australia; July 2006). European Economic Infrastructure Sustainability & Intellectual Property Rights, 9th International Conference on Technology Policy and Innovation (Santorini Island, Greece; June 2006). Integrated Robotic Actuator Technologies & Intellectual Property Rights; ACTUATOR 2006 Conference (Bremen, Germany; June 2006). Space Materials Intellectual Property Management: Rules and A Roadmap of Rising Relevance, Aerospace Materials Conference (Seattle, Washington; May 2006). Privatized and Commercial Space Intellectual Property Rights, International Space Development Conference (Los Angeles, California; May 2006). International Intellectual Property Rights for Aerospace Nuclear Power Technologies: A Global Roadmap, 2006 IEEE Aerospace Conference (Big Sky, Montana; March 2006). Property Rights & Business Transactions in Entrepreneurial Space Commerce, SPACE EXPLORATION: WHO, WHAT, WHEN, WHERE, WHY? Conference, International Space University; Poster Session (Strasbourg, France; October 2005). Entrepreneurship: Business and Legal Fundamentals; Maastricht School of Management (Nicosia, Cyprus; June-July 2005). International Intellectual Property Rights & Space Exploration Technologies, World Aerospace Congress 2005, Society of Automotive Engineers (Dallas, TX; October 2005). Commercial Space Intellectual Property & Technology Transfer. 5th Australian National Space Society Conference, Royal Melbourne Institute of Technology (Melbourne, Victoria, Australia; September 2005). Commercial Intellectual Property Rights and Space Exploration: A Major Paradigm Shift, AIAA’s SPACE 2005 Conference (Long Beach, CA; August 2005). Space Exploration Technology Development Through Intellectual Property Analysis, 8th International Mars Society Convention (Boulder, CO; August 2005). International Intellectual Property Rights & Space Exploration Technologies, International Space Development Conference 2005 (Washington, D.C.; May 2005). Advanced Space Propulsion Technologies & Intellectual Property Commercialization, 16th JPL/MFSC/UAH Advanced Space Propulsion Workshop (Marshall Space Flight Center, Huntsville, AL; April 2005). International Intellectual Property Aspects of Space Technology Commercialization, First Conference on Space Exploration by American Institute of Aeronautics & Astronautics (Orlando, FL; January 2005). Commercialization and Funding of Space Technology Development, Space Technology & Applications International Forum by University of New Mexico (Albuquerque, NM; February 2003). Intellectual Property Fundamentals Seminar, AIAA Digital Avionics Systems Conference (Orange County, CA; September 2002). Intellectual Property Considerations in Space Technology Commercialization, European Space Agency Conference on Data Systems in Aerospace (Dublin, Ireland; May 2002). Managing & Licensing Intellectual Property Assets, Co-Chaired American Intellectual Property Law Association National Conference; (Orange County, California; 2004). Intellectual Property & Space Technology Commercialization, Mars Society Conference (Chicago, IL; August 2001). Intellectual Property & Space Technology Commercialization, Space Studies Institute, Princeton University (Princeton, NJ; July 2001). International Technology Commercialization Legal & Business Fundamentals, Invited Lecturer, U.S. Agency for International Development (Moscow, Russia 1998; Samara, Russia 2000; Tomsk [Siberia], Russia 2001). Client Kudos Lead to Coveted Review-Based Award for Austin Patent Attorney Hulsey — William N. Hulsey III, P.C.